KARACHI: The policy board meeting of the Drug Regulatory Authority (DRA) held on Wednesday in Islamabad remained inconclusive and the board formed a sub-committee to review and suggest price increase for medicines. The policy board meeting, presided over by DRA Chairman Imtiaz Inayat Ilahi, ended without taking any decision on allowing increase in medicines prices, which according to stakeholders, have been frozen since 2001. A medicine maker who attended the meeting said no decision was taken regarding permission to raise prices. Requesting anonymity he said that the government officials knew that the industry was undergoing tough time since 2001 due to freeze on drug prices. However, market sources said that the DRA was considering allowing 0.75-1.5 per cent price hike but the manufacturers had already rejected it. They said according to government�s own statistics and formula of 1993, the industry should get a price surge of 94 per cent from 2001 till to date. Sources said the industry people were of the view that if 94 per cent is not possible then the government should allow at least 50pc hike. A drug maker said that �the government should make a clear pricing policy which could sustain as it is bad for the industry to beg every year for price hike. He said no decision on allowing price hike by the DRA despite numerous meetings had already resulted in exit of four multinational and closure of some local pharmaceutical companies. Sources said none of the health secretaries, who claim to be the main stakeholders after devolution of health ministry following 18th Amendment, did not attend the October 23 meeting and sent their juniors to fill in. �DRA is continuously keeping the industry engaged in dialogue while the input costs and all other expense are sky-rocketing making it difficult for industry to continue to provide quality drugs to Pakistani patients making their lives to suffer further,� another medicine maker remarked. Forming the sub-committee on the matter is an act of delaying tactics, he said, adding how the industry could survive as one dollar is now available at Rs106 in interbank market as compared to Rs59 in December 2001 coupled with massive increase in power, gas, transportation and packaging cost. He recalled that from 1999-2001 drug prices were raised by an average five per cent every year when the cost of production was not high. If the government cannot allow five per cent hike per annum then it should consider at least 2.5 per cent per annum to offset the rising cost of production. He said manufacturers only have stock of medicines till the end of this year and after they may not be able to produce drugs as cost of production has almost doubled. 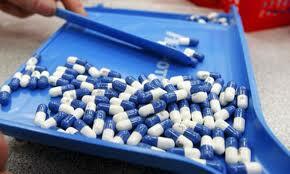 Failing to get official price increase has already caused shortage of medicines.